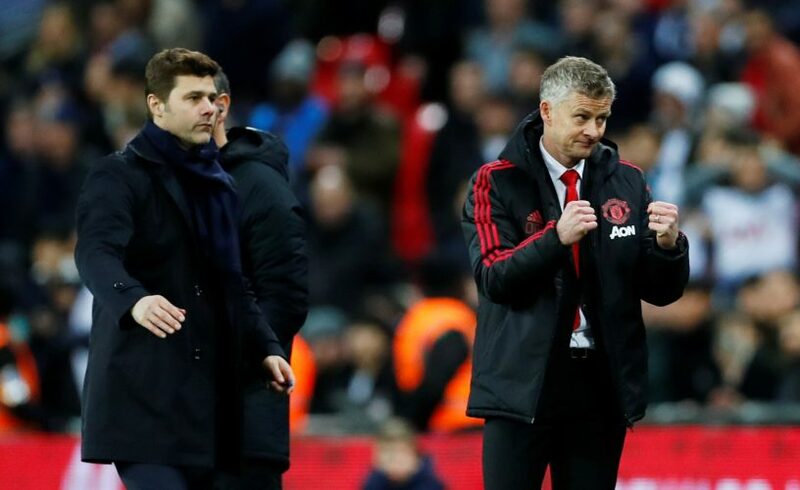 Manchester United were the tactically superior team as they were able to beat Tottenham in a hotly contested game at Wembley that ended 1-0 in favor of the Red Devils. Marcus Rashford was able to convert a sublime Paul Pogba pass late in the first half to put United in front. Even though Spurs gave it their all in the second-half, they were up against an unwavering David De Gea, who held the three points safely in the corner of the Mancunian giants. With that victory, it is 6 wins in his first 6 games for Ole Gunnar Solskjaer, a feat that no Manchester United manager has ever achieved, and that list is populated by the likes of Sir Alex Ferguson and Sir Matt Busby. Further, given that this win was against Mauricio Pochettino, the man that most reports are stating to be the Norwegian’s only other competitor for the top berth, a statement will certainly have been made in favor of him bagging the job on a permanent basis come summer. Prior to this fixture, Solskjaer’s ability to perform against big names with Manchester United was largely untested. However, at Wembley, he went on to prove that he is not just a gaffer whose sole tactics are those of blindly attacking. The adaptive tendency of the Red Devils was on point, and their counter-attacks were brilliant enough that their sole goal was created through one. In the second half, they held their cool quite well, and the entire lineup displayed that even defensive plays are no problem to the Manchester United DNA. More of the same, please? 3. Title Race Over For Tottenham? While it is still premature to state anything with over 16 games left to play for all sides, the Premier League title race now seems likely to be headed towards a two-way race between Manchester City and Liverpool. With the defeat that United inflicted upon them on Sunday, Spurs are now nine points behind an in-form Liverpool. Should the title race come to a close call, and it seems likely to, this loss will certainly be viewed as a chance lost by the London side. Further, with Son about to leave the side for international duties, his brilliant partnership with Harry Kane upfront will certainly test the club’s offensive abilities for the next few games. With 4 goals in 5 games under Solskjaer, Rashford is shaping up to be the ideal Manchester United forward. Given the return of injury-stricken Jan Vertonghen, Rashford didn’t play from the centre at the start of the game, instead trying to test the opposition defense. However, his style suited United’s formation in a clean manner, and his goal was a masterclass in counter-attacking football. Still far from his peak, Rashford in his no.10 jersey could certainly rewrite the history books at Old Trafford. Further, since Romelu Lukaku coming off the bench wasn’t able to put in that big of a difference today, it is safe to say that Rashford will continue to occupy that pivotal spot for quite some more time under Solskjaer. Manchester United’s need for an able partner for Victor Lindelof at the heart of their defense was further outlined in today’s game. Phil Jones simply wasn’t up to the task, and made numerous errors, both in simple play and in set-pieces. While Eric Bailly will return after this game, United will get punished against the likes of PSG if this isn’t altered soon. The January window needs to see the arrival of a centre-back at Old Trafford to secure their top-four aspirations. Meanwhile, David De Gea firmly re-established himself as the best shot-stopper in the world, with his legs doing more defensive duty than the entire United backline. A gem of a player, United need to secure him for the long-term as well.